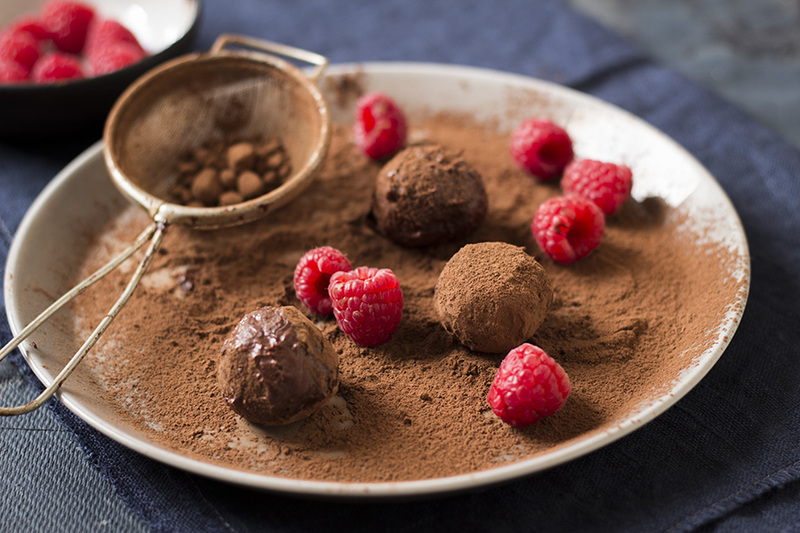 I’m going to start off by telling you to not be intimidated by chocolate truffles – they look terribly fancy and complicated but hello, they’re made with just 2 ingredients – it does not get easier than two ingredients, people. 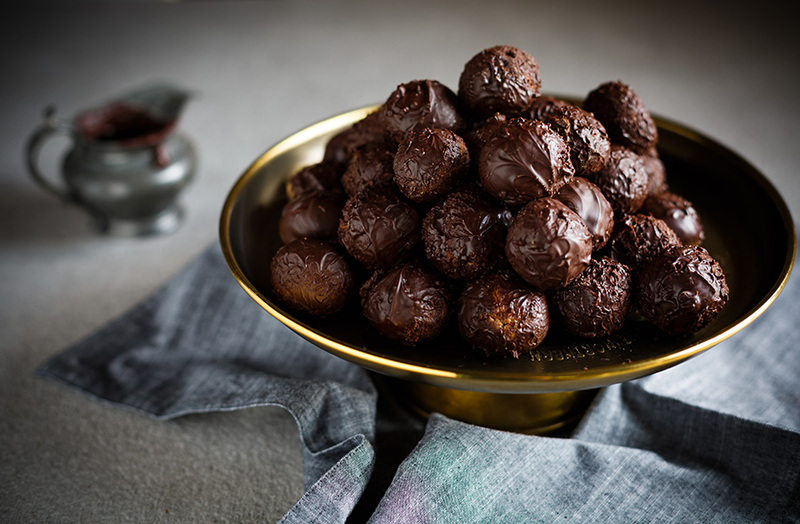 My favourite thing about truffles is actually the fact that they do look fancy – which only means you get more compliments when you make them! 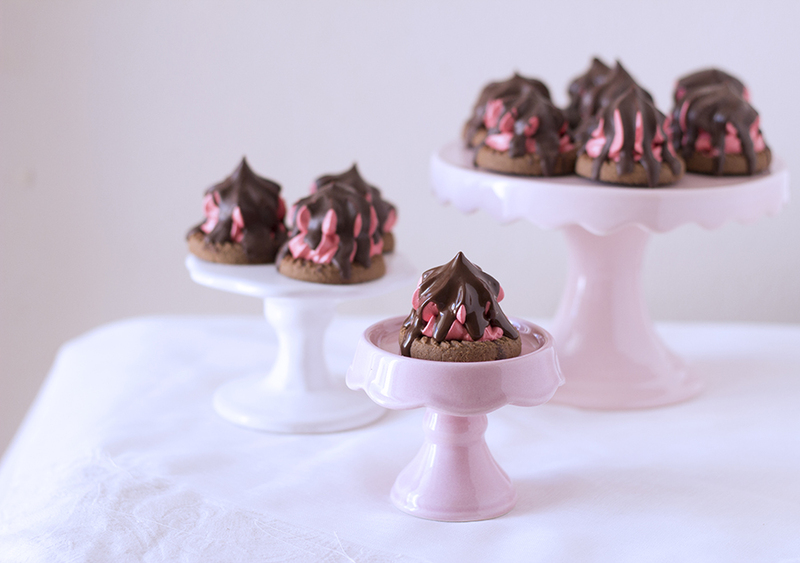 They make such awesome gifts (pop them into a jar for Easter treats), or piled onto a cake stand, they’d make an absolute show-stopper put in the middle of the Easter table after lunch, and they’re fun to make with the kids. Do you need any more reasons? Oh wait, there’s also being able to lick all the chocolate off your hands after rolling them – best reason of all! 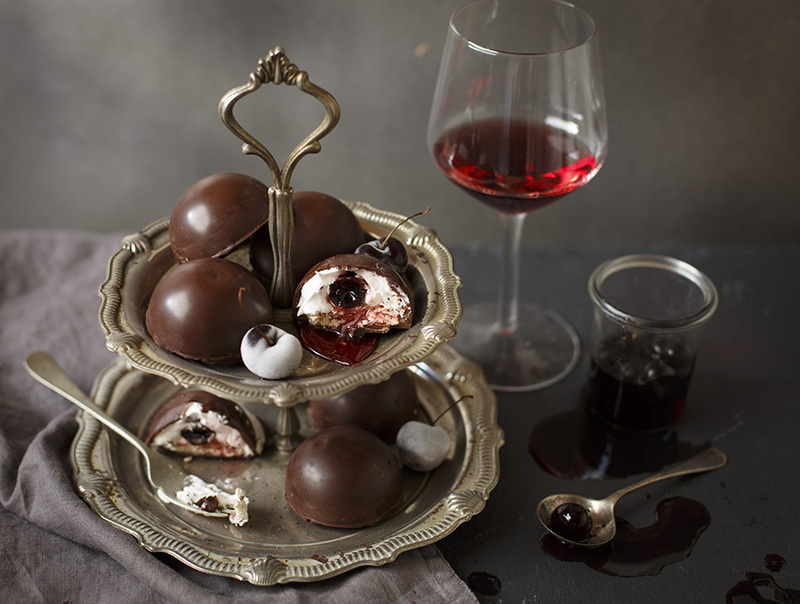 Truffles are super versatile – you can turn them into whatever your heart desires; boozy ones, nutty ones, biscuit ones or even fruity ones – like this gorgeous raspberry version. 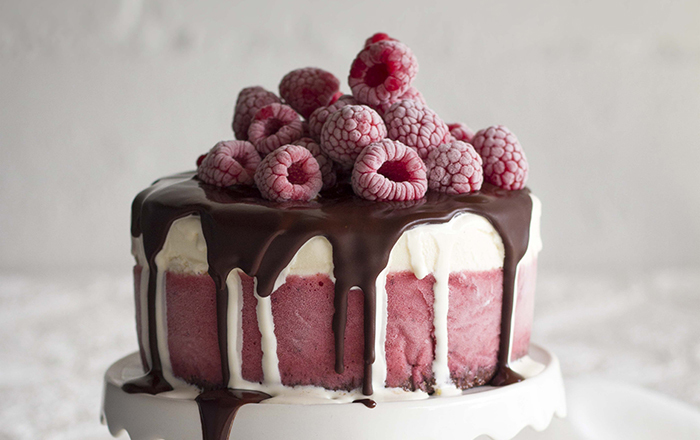 Raspberries and chocolate? Total besties. Speaking of things that go well together, the team at Haute Cabrière decided that the perfect pairing to their delicious wines would be the perfect blogger pairing (clever, right?!) 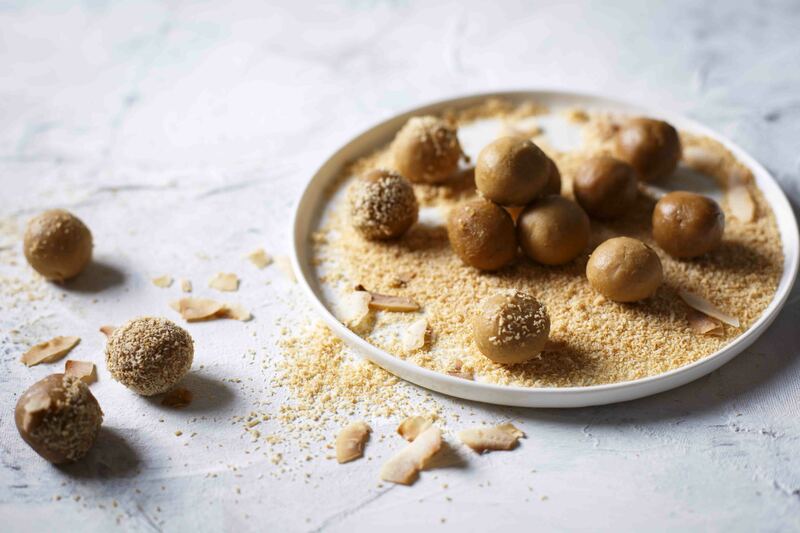 So I’m teaming up with my savoury equivalent, Sarah Graham of A Foodie Lives Here and we’ll be creating some perfect dessert and main meal pairings over the next few weeks to pair with their iconic Unwooded Pinot Noir and Chardonnay Pinot Noir wines. 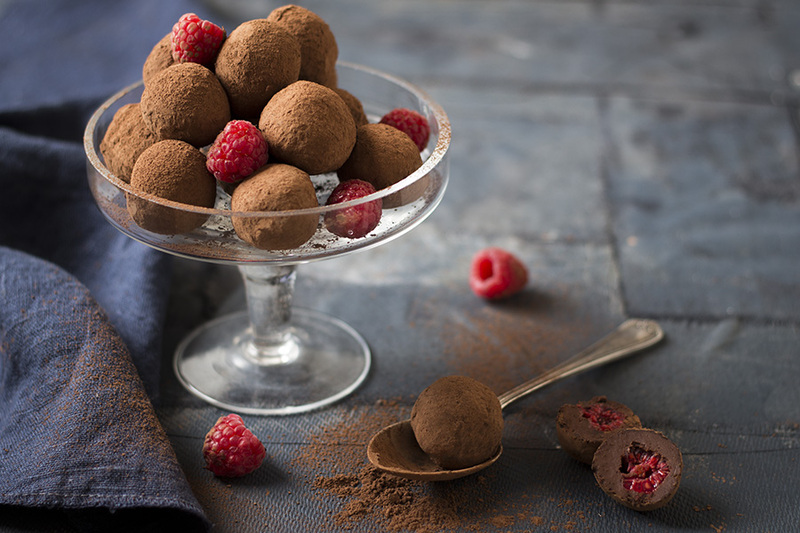 Check out Sarah’s Spicy Lamb Kofta recipe here then whip up these raspberry truffles for an Easter lunch menu with a difference! 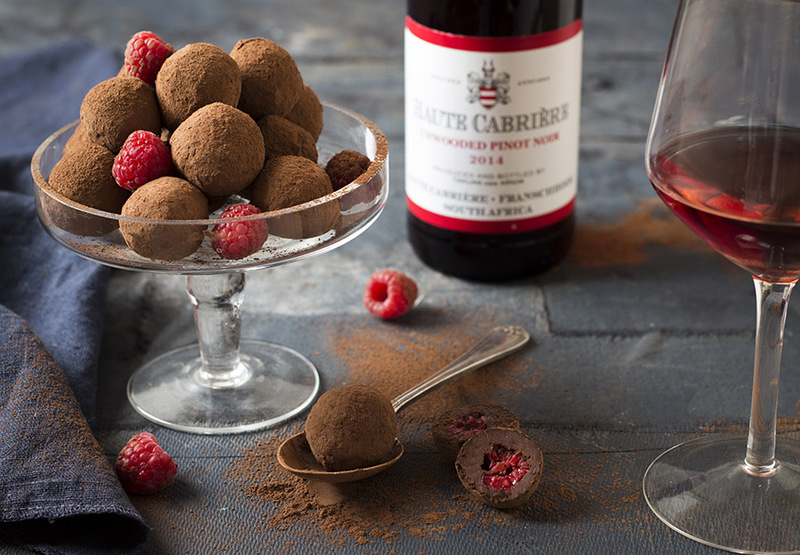 Both recipes are perfect served with the slightly chilled Haute Cabrière Unwooded Pinot Noir – you won’t believe how well the chocolate and raspberry truffles go with this wine – serious yum factor! Heat the cream in a small saucepan until just below boiling point. 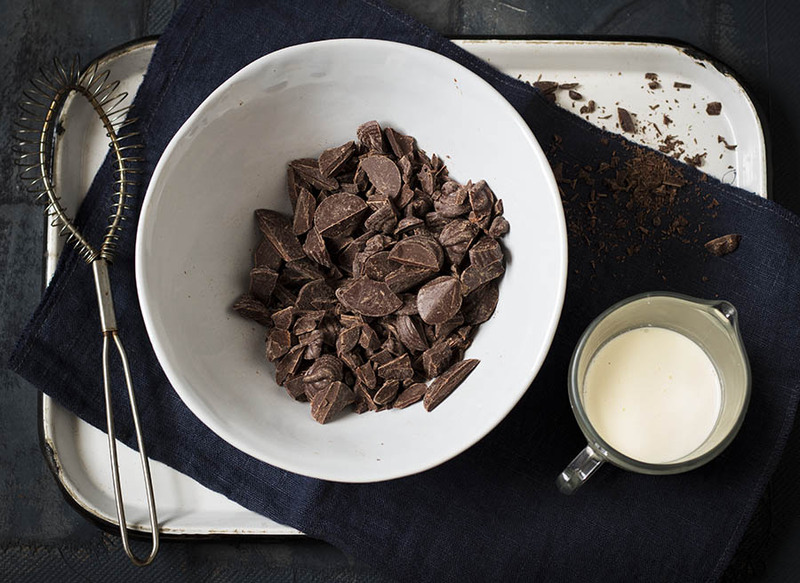 Immediately pour the cream over the chopped chocolate and allow to stand for 5 minutes before stirring until smooth and glossy. Cover with cling wrap and refrigerate until set. 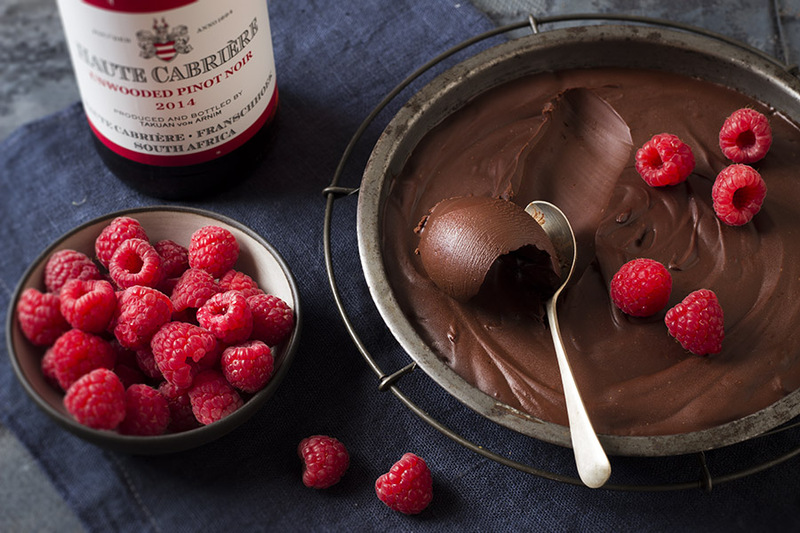 Working with a teaspoonful of the set ganache, flatten the chocolate slightly then place a raspberry in the middle and fold the ganache around it cover completely. Roll into a ball then roll in cocoa powder to coat. Refrigerate until ready to serve. 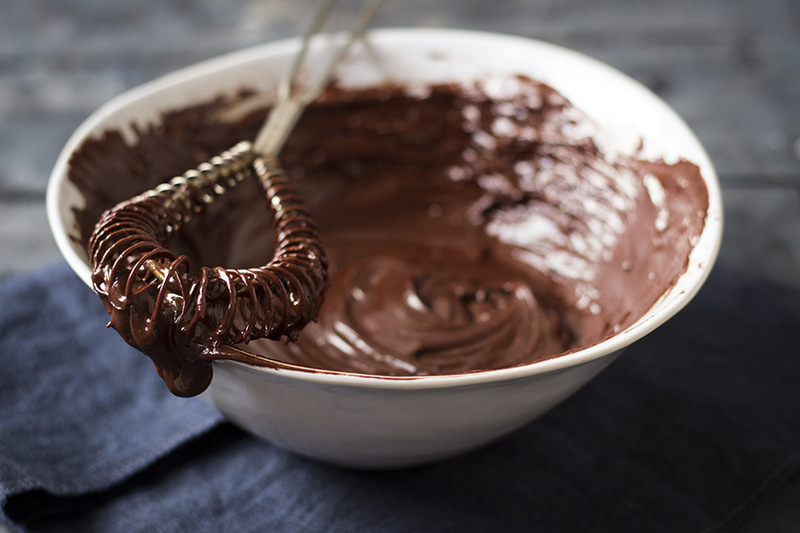 TIP If your ganache splits (looks oily and a bit grainy) stop stirring immediately and add 1 tbsp boiling water and whisk until smooth (keep adding boiling water a little at a time until it comes back together). COMPETITION TIME! Each week 2 lucky winners will each win a case of mixed wines each during March and April 2016. Click here to enter.